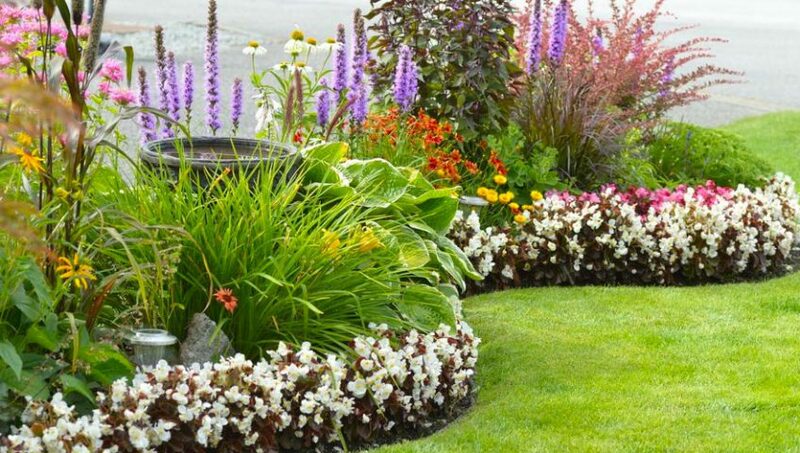 Landscaping is essential to making your garden feel as calming as possible, and a few carefully placed shrubs can transform it from a boring suburban back yard to visibly beautiful stress-free area. So if you’re looking to create a landscape with a contemporary feel, with the help of the best gardening tools why not pick from this selection of 2019’s top plants and perennials? Mahonia, better known in the gardening world as Mahonia eurybracteata subsp. Ganpinensis or ‘Soft Caress’, was voted the Plant of the Year at this year’s RHS Chelsea Flower Show. It is an evergreen shrub that comprises a delicate foliage to boot, and is the produce of Dutch nursery Van Son & Koot. 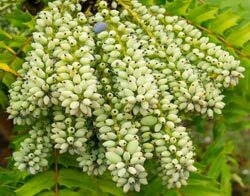 Its cone-shaped shoots promise oodles of bright yellow flowers between August and September, with clusters of blue berries appearing later in the gardening calendar. Mahonia is ideal for creating a sunny yet subtle baseline along the borders of your garden, or for lining around the base of your hot tub. Just plant them in any plant pot or trough, preferably a self watering trough though, this way there will be almost no maintenance. 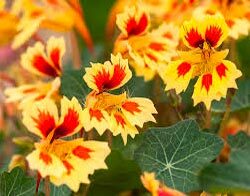 Thompson & Morgan are one of the UK’s largest mail order Seed and Plant companies, and are also the breeders of the new species of Tropaeolum (a.k.a Nasturtium), ‘Fruit Salad’. 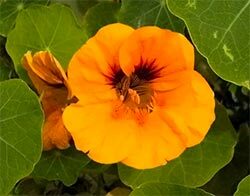 This new breed is described by T&M as “..the first bicolour nasturtium with serrated petals”. Amongst the plant’s praises are the fact that it blooms for a much longer time than any other of its kind and also carries a ‘daffodil-like’, sweet and spicy fragrance. With flowers set against dark green foliage, this species is much more compact than its counterparts, making it ideal for planting in pots and hanging baskets. 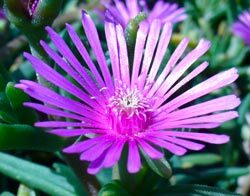 Its flowers are also edible and are suitable for adding a peppery taste and a splash of colour to summer salads. ‘Cha Cha’ chives are ideal for those of you looking for a plant that is a little out of the ordinary, or those looking to grow cooking ingredients that also have decorative credibility. 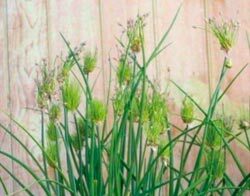 This new breed of the chive herb, also known as Allium tuberosum , is unusual in that it sprouts a spiky head of miniature chives instead of the typical flowering buds of the traditional chive. Harvesting the plant consists of simply plucking a head from its sprouts, before finely chopping to create an instant garnish, a sharp knife comes in handy here. ‘Cha Cha’ chives, developed by US seed company W. Atlee Burpee & Co, are regarded as mid-size plants with a height of 55cm and a spread of 30 cm. After its initial discovery in South Africa by Panayoti Kelaidis, this plant is now being retailed by D’Arcy and Everest of Cambridgeshire. 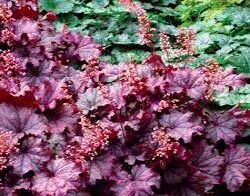 It is known to grow well across the US, and also seems to have a hardiness and tolerance to high summer temperatures. It is described by the company as blooming “well in all but the most subtropical climates,” making it ideal for the typical British garden. The flower’s fiery colours blossom from May onwards, and it continues to bloom well into the late summer. This is an ideal flower if you like low maintenance plants, as it can also tolerate droughts whilst maintaining its loud colour scheme. If foliage is more your thing, then Plantagogo’s new Huechera breed ‘Sugar Berry’ is ideal for you. Sprouting ‘frosted’ berry-violet leaves, with pale pink flower sprays hidden amongst them, Heuchera ‘Sugar Berry’ really blooms in the late spring and continues right through to autumn. Heuchera is a great companion to other plants in mixed containers and rock gardens, or is suited to giving the borders a touch of pink. Maintenance is minimal, with the only requirement being to trim off any dead leaves in early spring. However , it should be noted that this plant is better suited to cooler climes. So from ornamental herbs to unusually coloured foliage, this guide has provided you with the beginnings of a plant list with which to ‘accessorise’ your hot tub – but there are hundreds of others! Most nurseries sell new breeds of classic plants, so it is always worth having a scout around online for the top plants of each season. Good luck and happy landscaping!